Less than a day after endorsing Sen. John McCain, Florida Gov. Charlie Crist was on the campaign trail with him. 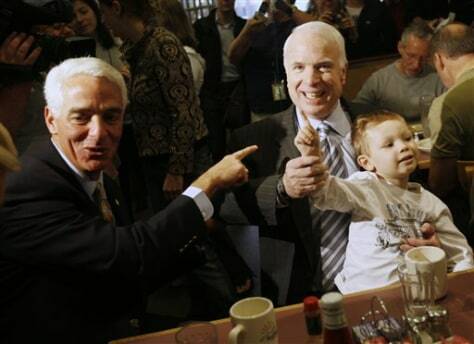 The two stopped at a cafe in Tampa early Sunday.